Attorney Jodi Nofsinger represents people who have been harmed by medical malpractice and those who have suffered serious personal injury. 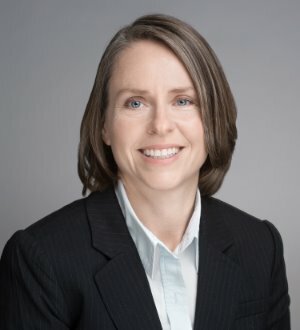 With an educational background in medicine and biology, Jodi is the rare attorney who understands both the law and science of the cases she handles. Since joining Berman & Simmons in 1997, Jodi has earned a reputation as a tenacious and effective advocate for her clients. She is a natural competitor who thrives when representing the underdog and holding the powerful accountable. She is also a trailblazer among Maine’s trial lawyers. In 2014, Jodi became only the 22nd trial lawyer in Maine—and only the third woman—inducted as a Fellow of the American College of Trial Lawyers. Fellowship is extended to trial lawyers who are master advocates for their clients, and whose careers are distinguished by the highest standards of ethics and professionalism. Jodi learned about the justice system from her mother, a clerk at a federal courthouse in Rockford, IL. Jodi recalls her mother’s compassion for people with disabilities who had come to court seeking benefits that were denied by the government. At an early age, Jodi understood that a lawyer can make all the difference for people who have been wronged. Jodi obtained a Bachelor of Science in Biology degree as a pre-med undergraduate. Beginning in high school and continuing until she entered the University of Maine School of Law, she worked in the field of biology, where she conducted research in the areas of heart disease, cellular biology, and genetics. Besides her outstanding record of success in medical malpractice and catastrophic personal injury cases, Jodi is also well known for her work on civil rights cases, such as the groundbreaking lawsuit brought on behalf of transgender high school student Nicole Maines of Orono, ME. Jodi serves on the board of directors for the ACLU of Maine and the Maine Trial Lawyers Association.